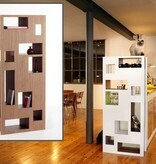 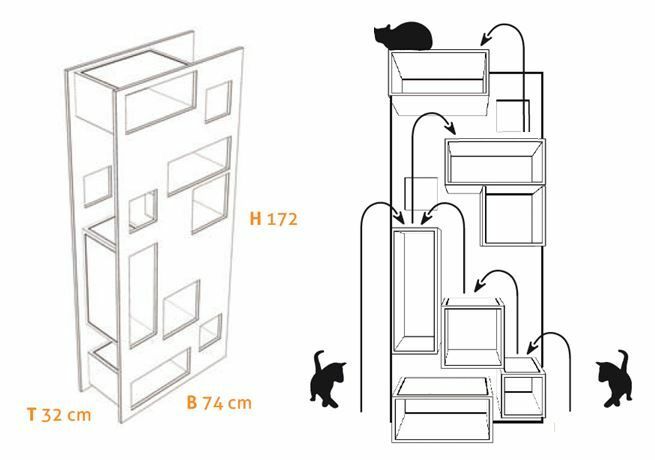 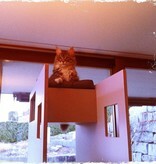 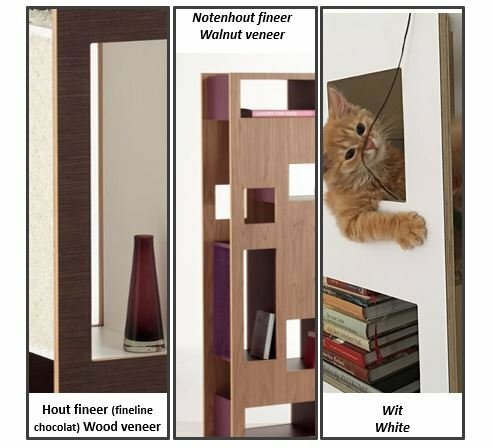 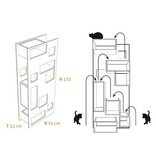 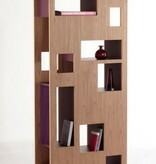 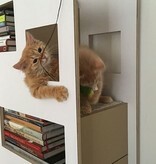 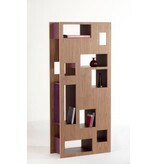 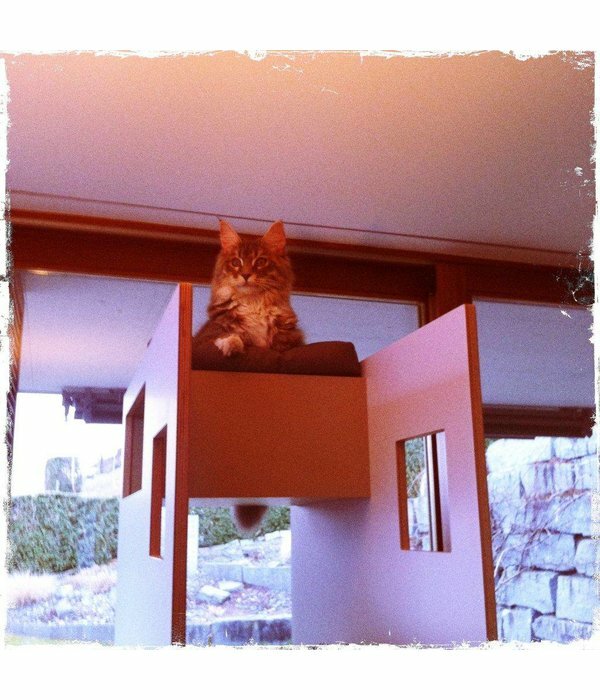 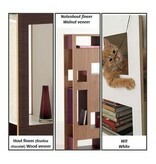 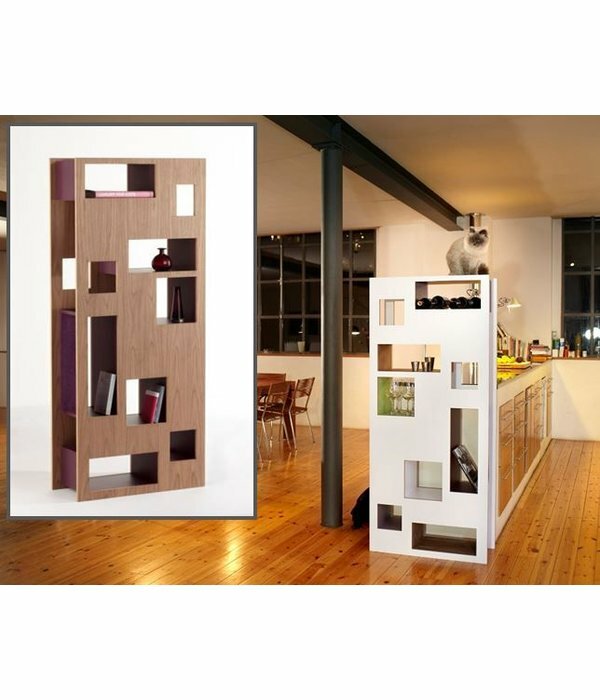 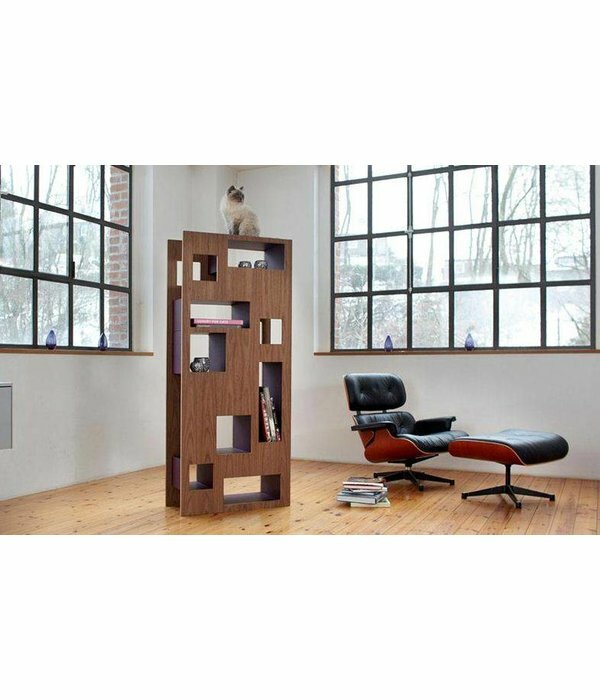 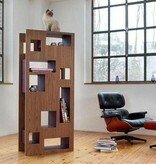 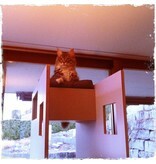 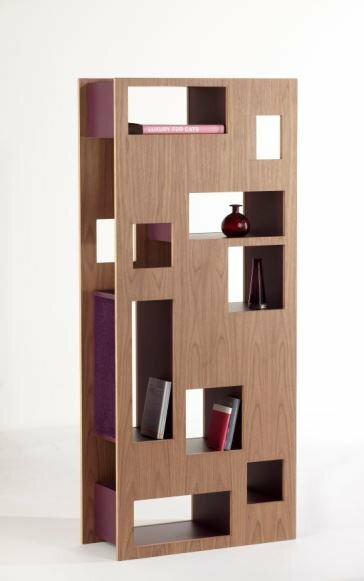 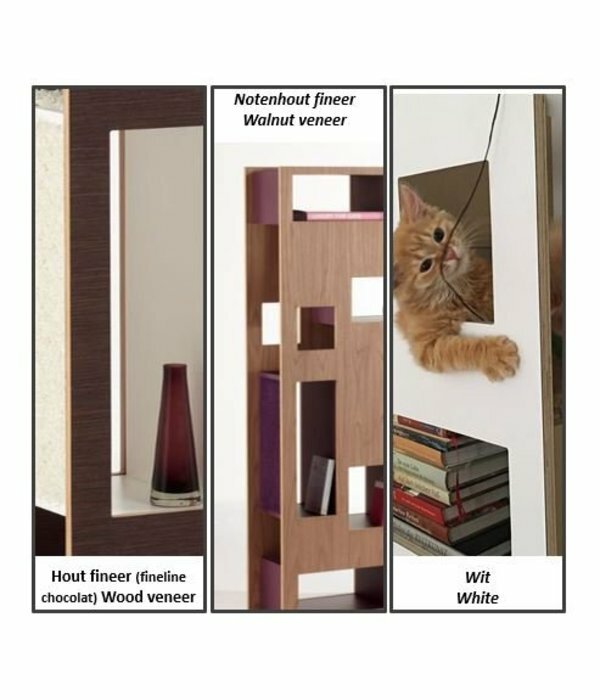 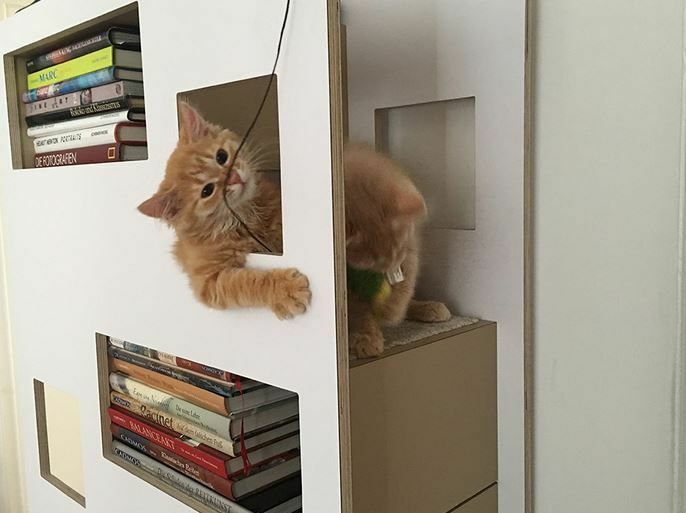 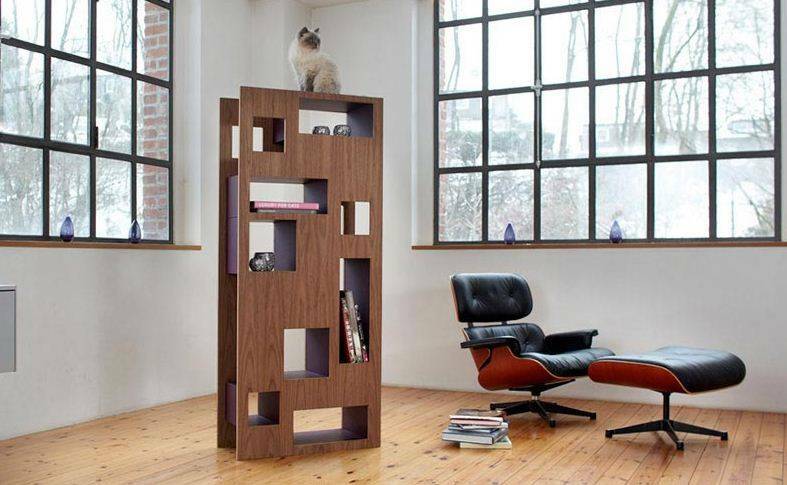 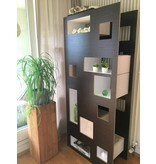 The Reading Cat is a piece of climb and scratch furniture with the allure of a bookcase and room divider. 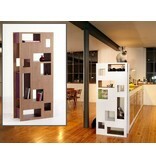 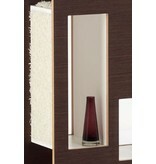 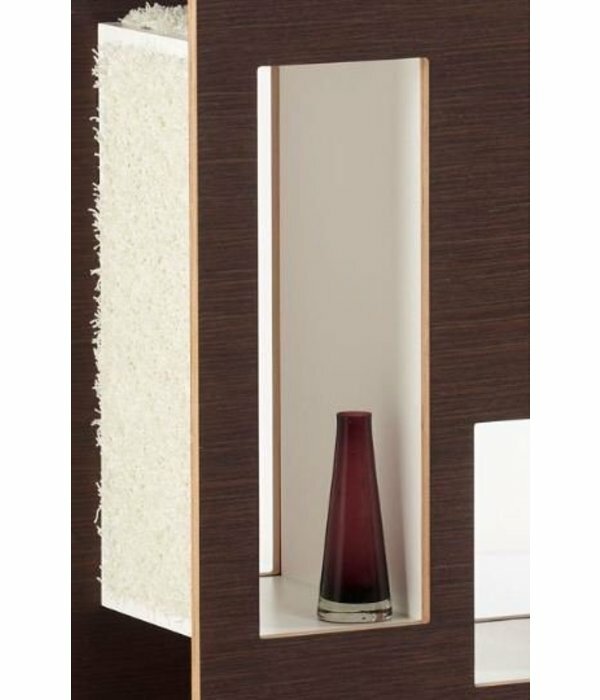 His see-through construction makes it ideal for a spot in the centre of your room. 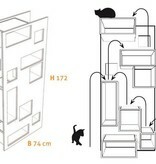 Your cat will appreciate the nice look-out. 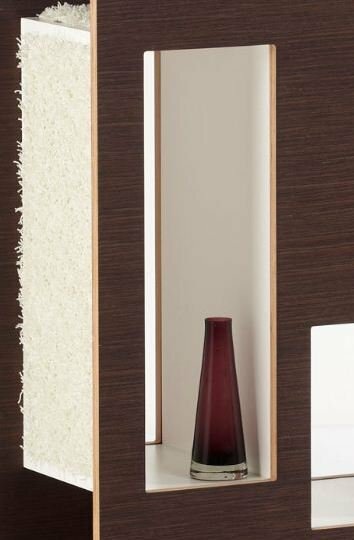 In the lower vertical part a scratching panel has been integrated. 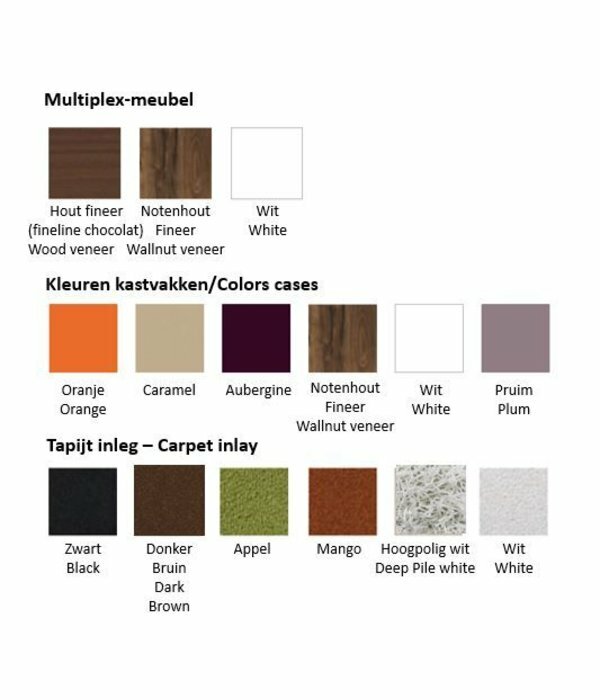 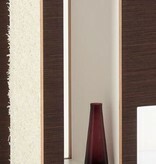 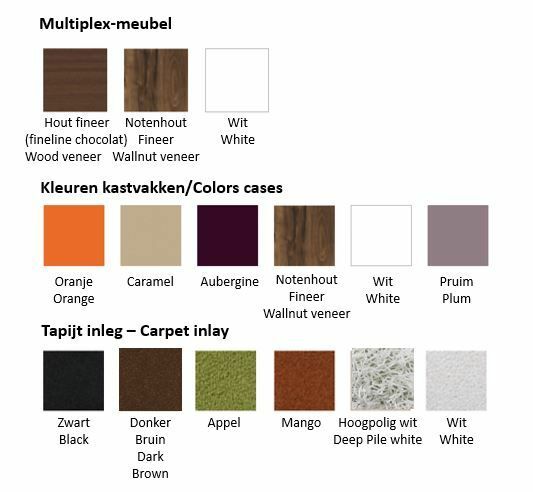 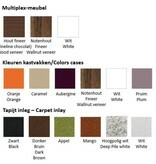 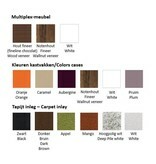 Standard with the same industrial carpet as in the tablets, but here you can also choose a scratch panel in sisal. 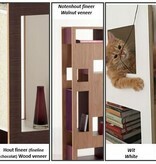 Therefore your cat will have the choice of two different materials to scratch. 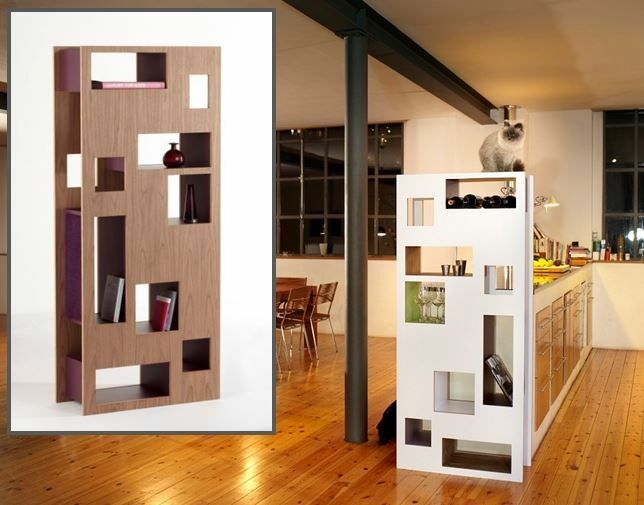 This is a 100% stable piece of furniture, by the design and by weight. 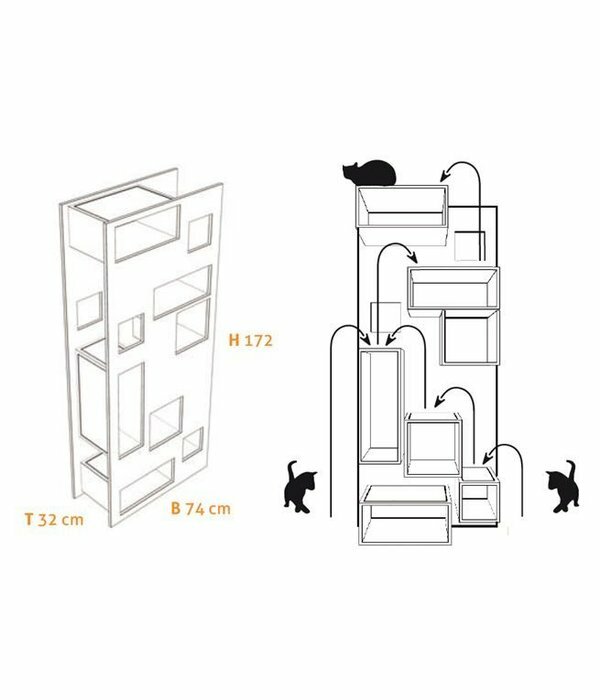 The pillow (on top) is dark gray, fully machine washable at 95 ° C and attached with Velcro so that it stays nicely in place. 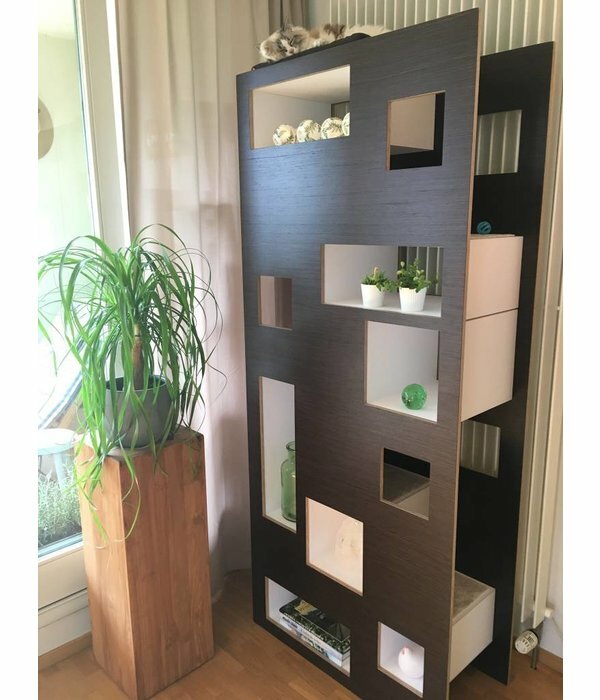 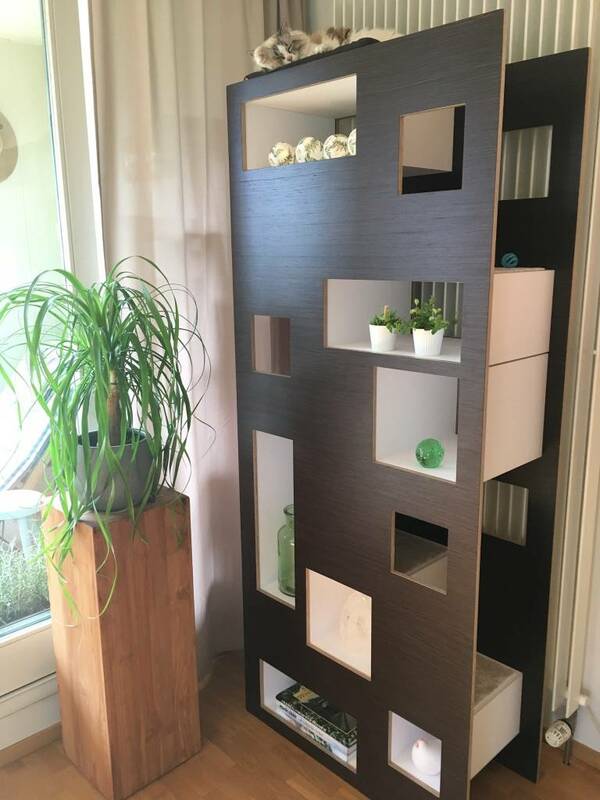 This furniture is handmade by order and delivery time is on average 4 weeks (up to 6 weeks). 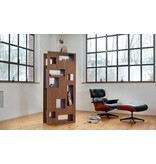 NOTE: This large piece of heavy furniture in one piece, and should therefore always be delivered. 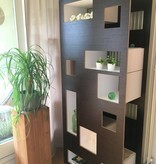 Pick-up in the shop is not possible.